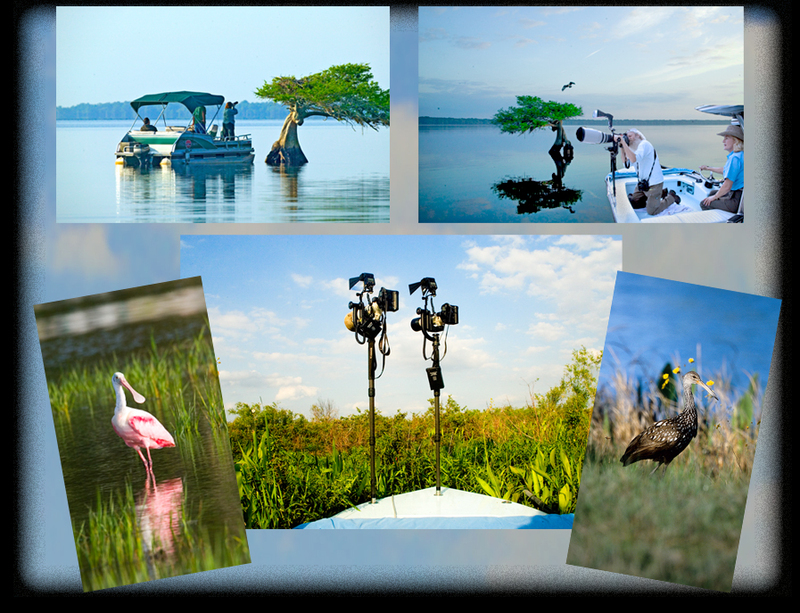 The Florida Adventure Photography Tour series is an exciting group of tours & adventures set around the very best locations in all of Florida. These areas have been hand-picked after years of careful ‘recon’ missions, and chosen for their ability to provide the very best in photographic opportunities. You’ll be piloted directly to nature’s back door in Ms. Williams’ pontoon boat, or the unique Fotoboat. Both vessels allow you unparalleled access to areas normally out of reach! 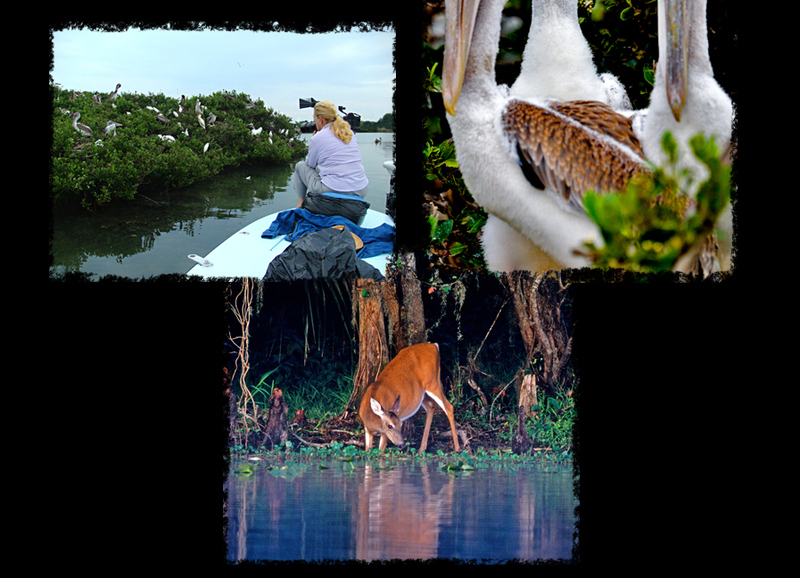 photographic hot-spots we’ll be visiting are the various wetlands like the Viera Wetlands, Wakodahatchee Wetlands, Green Cay Wetlands, Merritt Island, Sanibel Island, Fort DeSoto & the Loxahatchee National Wildlife Refuge. We will also be enjoying some great destinations like Alligator Farm, Gatorland or Butterfly World, where you can sharpen your macro skills. The “Pontoon Putt” is not a new dance step, but it is a new addition to the Florida Adventure series. This is a unique photographic tour held in and around various waterways here in the Sunshine State. For more than 20 years, Ms. Williams has owned a pontoon boat that has been used as the main mode of transportation to & from the many photo opps we’ll be visiting on this wonderful journey! The pontoon can hold up to four photographers with tripods, six with less tripods. We also have specially designed, custom hand made beanbags that take the place of tripods. Having photographed all ends of Florida, re-visiting some of these areas for ‘recon’ missions is proving that intimate & local knowledge of the waterways is key to finding the best spots for photography! destinations, many of which Ms. Williams has bonded with over the course of many years, so you’ll benefit from her experience. 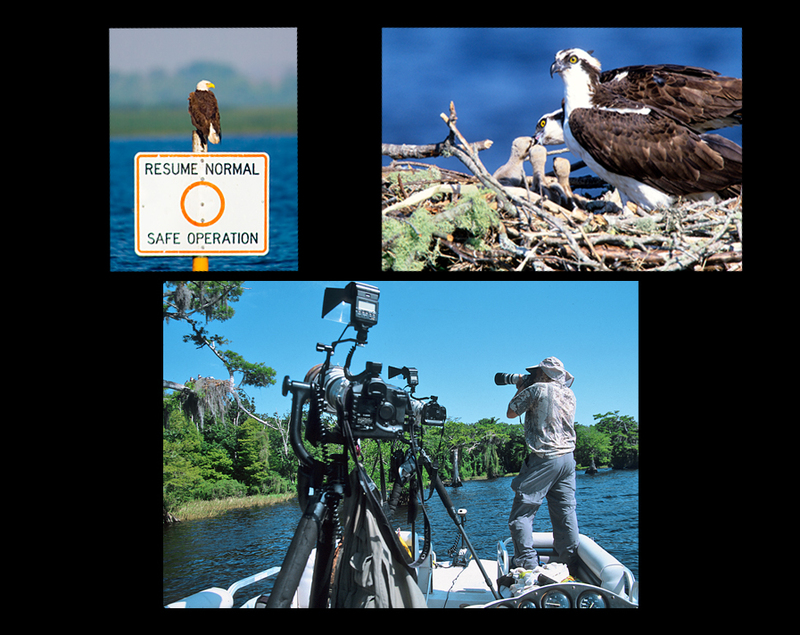 For some details of a recent trip to the St. Johns River, look at Newsletter #58. You’ll learn what the trip was like, and see some images. Most of the “Pontoon Putt” series will be two, three or four day jaunts into some of the prime photographic locations such as the St. Johns River, the Sebastian/Indian River area, New Smyrna Beach, various spots in the Florida Everglades and many others! Sometimes, a larger pontoon boat will be rented so that the Fotoboat can be taken along. This makes for great flexibility & fun having all the toys at our disposal! 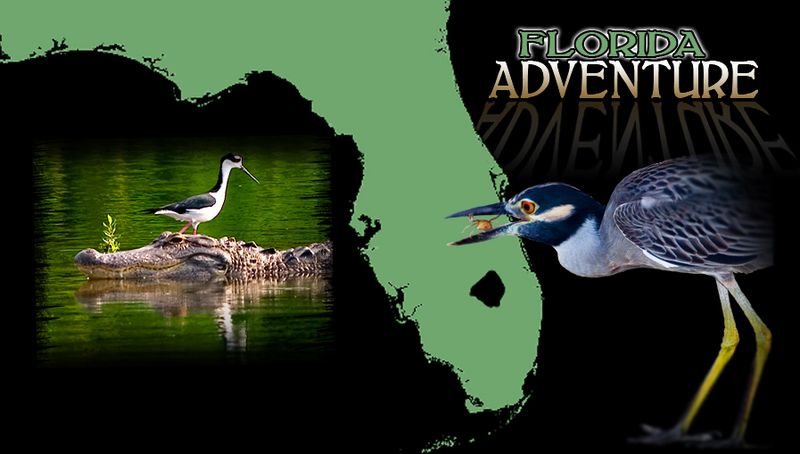 Check back often for updates on all your Florida Adventure trips! For more detailed information please see Newsletters 56, 57 & 58! The “Stroll with a Pro” series will provide alot of you with an excellent opportunity to get out and take some great shots in your own backyards! 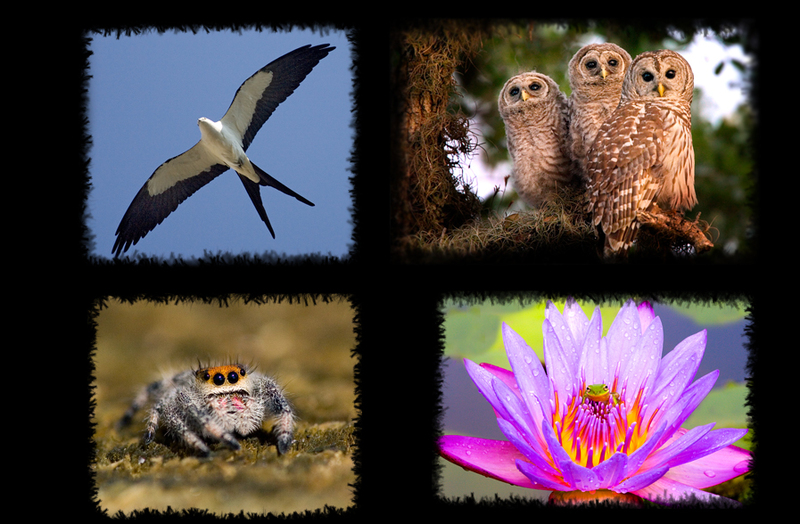 These photographic adventures will be perfect for anyone wanting to practice macro or handheld skills on morning or afternoon walking tours, as well as for people wanting to use larger rigs with tripods. Most of these tours will be in and around the South Florida area, but we’ll stroll to other parts of Florida on occasion as well, so check back often & sign up for the Newsletter to make sure you don’t miss out! Some of our strolls will take place at some great locations like the Wakodahatchee Wetlands, Loxahatchee National Wildlife Refuge, Butterfly World, Green Cay Wetlands, and many more. This series will be perfect for those of you looking to take your photography to the next level, by receiving personal instruction, but without having to travel very far or spending too much! Most of these ‘strolls’ will be limited to 5 or 6 people, to give us more freedom & allow for more instruction in a relaxed setting while in the field. 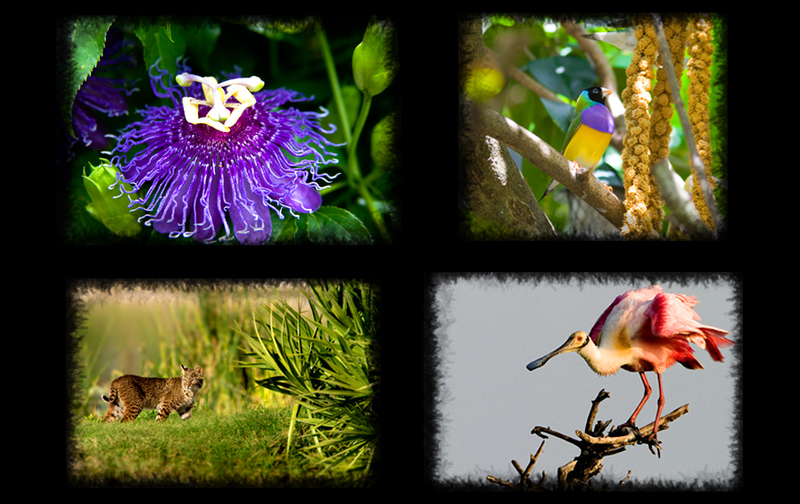 Some of the other areas we’ll be photographing are around New Smyrna Beach, Merritt Island, the Viera Wetlands, and many other locations that will provide us the best possible opportunities to take the best pictures! The ‘Fotoboat Series’ is a series of photo tours on a highly customized one-of-a-kind boat rigged uniquely for photography. This boat allows you to maneuver almost silently in as little as 6 inches of water, powered by an electric trolling motor or by pole! This allows us unparalleled access to remote areas that very few ever get to see! 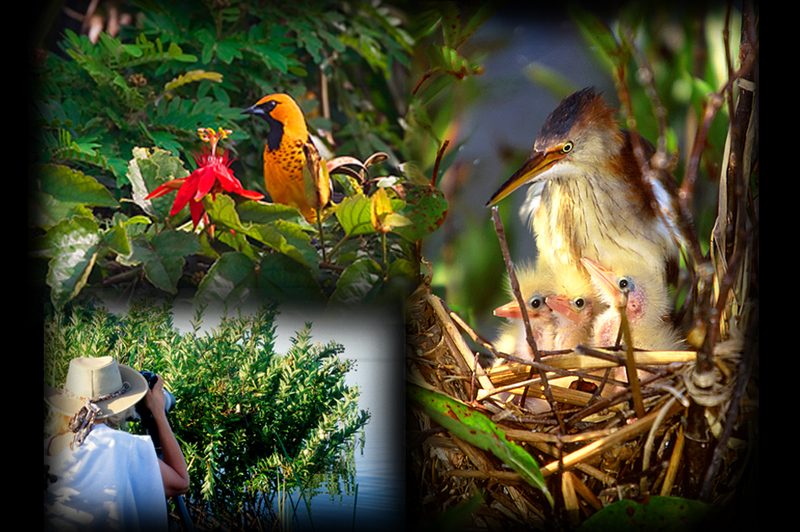 We can sneak up on wildlife to watch mating, nesting, feeding, babies in nests, and all sorts of animal behavior. Watch raccoons washing, deer drinking at waters edge, or playful otters scolding one another. 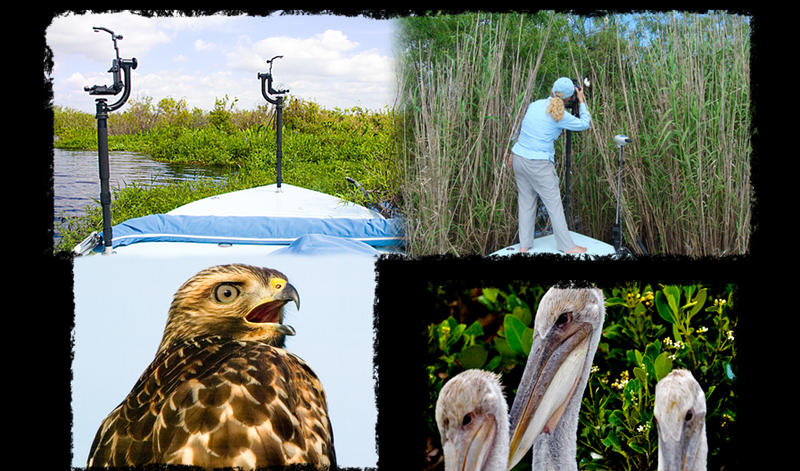 We’ll be able to visit remote rookeries and private nesting grounds that so many of Florida’s beautiful birds inhabit! The Fotoboat was custom designed & built specifically for the art of photography. From the specially mounted heavy-duty Gitzo monopods & Wimberley ball heads to the custom hand-made bean bags, this boat is crafted with you, the photographer in mind. You will benefit from the years of experience in boating on these waterways, as well as a professional knowledge of photography, and what it takes to get ‘the shot’! With a combined love of wildlife & strict code of ethics protecting them, you’ll be placed in close proximity to these critters, allowing you intimate close-ups & full-frame portraits! Make sure you check the website & sign up for the Newsletter, to get all the current info on the latest Fotoboat adventure, as well as all The Florida Adventures. Please feel free to contact us if you have a trip you would like to take, or if you would like to request a trip to a certain area. Some of these photographic tours will be planned well in advance, to allow time to make arrangements for accommodations, and some of them will be a bit more impromptu. But wherever we go, you’ll be sure to get some great shots!